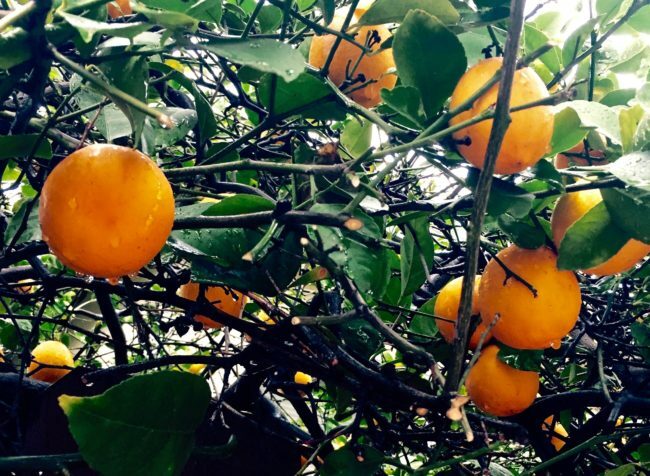 Our next door neighbor, she of the fabulous fig tree, also has an incredible Meyer lemon tree (a very pretty one) that fortuitously hangs into our yard and provides us with lemons nearly year round. 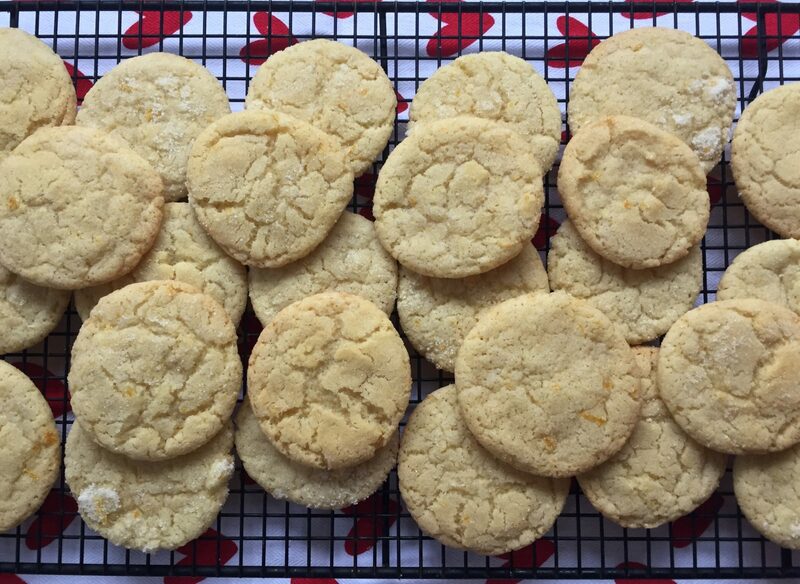 After reading the recipe for Lemon Sugar Cookies in Dorie’s Cookies, I decided to give it a try with Pat’s lemons. I wish you could smell these lemons! Unlike many of the ones you buy in the store, these exude the sweetest scent and are really juicy. To maximize the amount of juice you can get from a lemon, roll it around on the counter with your palm a little bit before squeezing it. If you don’t have a lemon tree (or a neighbor with one), look for Melissa’s Meyer lemons at your supermarket. Because I am of the opinion that you can never have enough of that sweet lemon flavor, I zested two, one for the dough and one which I added to the sugar topping. Be sure to mix the zest into the sugar with your fingers so the lemon oil incorporates into the sugar. This would be excellent on the rim of a margarita too! 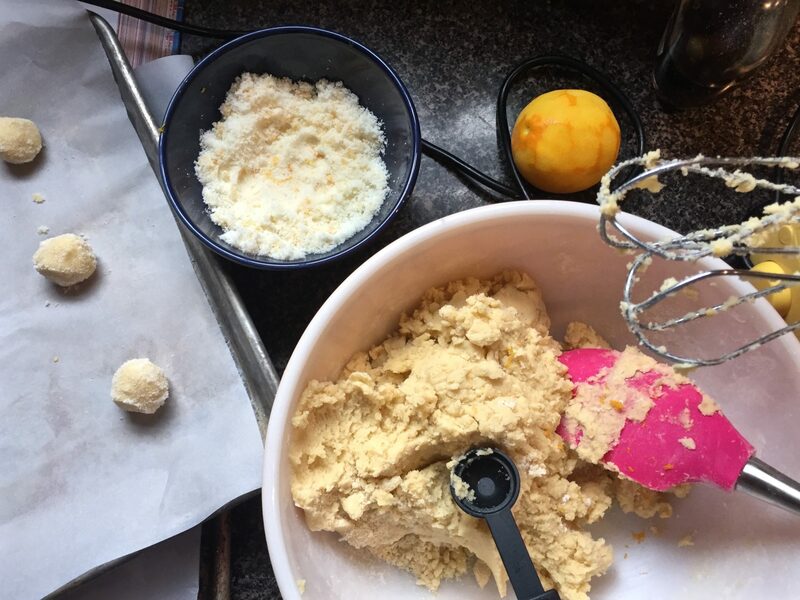 I used a teaspoon to scoop the dough and then rolled them into small balls and then rolled them in the lemon sugar. Don’t place them too close together as they do spread a tad. Twelve on a cookie sheet seems to work best. I took them out exactly at 12 minutes for softer cookies. At 14 minutes they were golden brown on the bottom but super crunchy which we didn’t really care for. Of course, that will depend on your oven and your preference. The cookies are soft so leave them on the cookie sheet to cool before moving them to the rack. I know It’s hard not to eat the cookies straight out of the oven, but they really do taste better after cooling — talking to you, Tom. 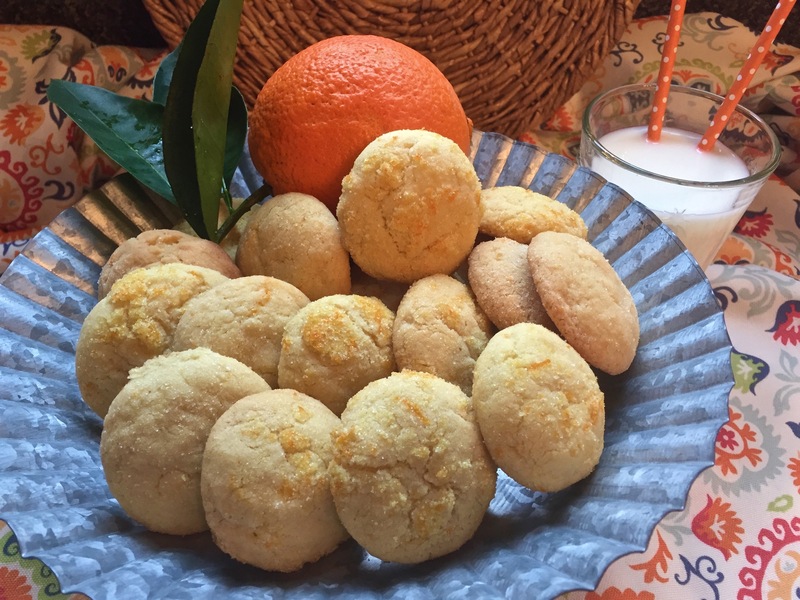 These cookies turned out so well that I decided to give them a whirl with the oranges from our very own orange tree. For years, I would leave the fruit on the tree for the wildlife. One year we had an over-abundance, so I took them to work where they were proclaimed the best oranges ever. Really? I don’t even know what variety they are, as the tree was planted long before we moved in. 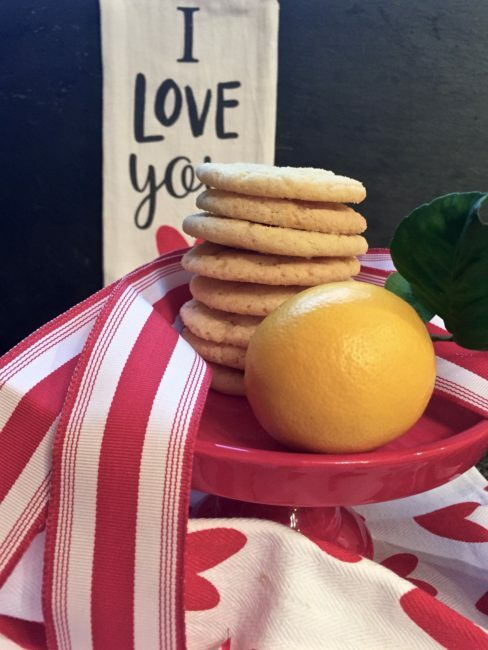 If you don’t have an orange tree handy, one of my favorite oranges in the store right now is the Cara Cara, a pink-orange which is in season from about December until April or early May. The zest is amazing and very fragrant. 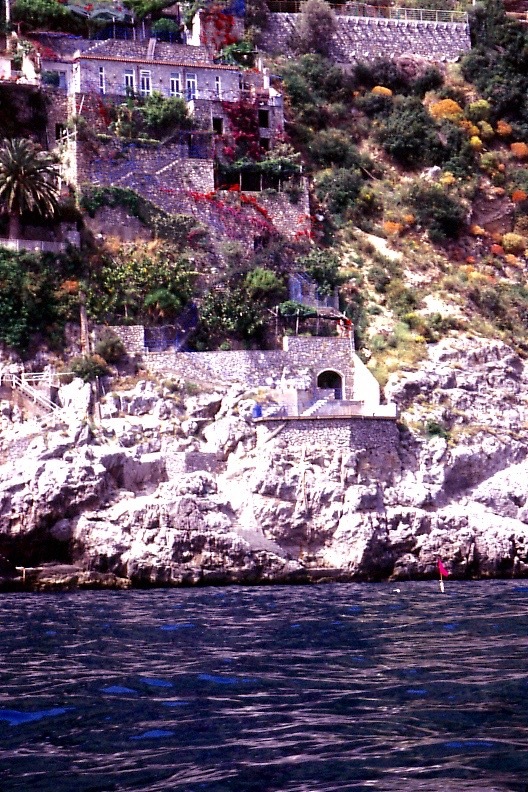 If you haven’t had a Cara Cara, please try one, I think you’ll like it! 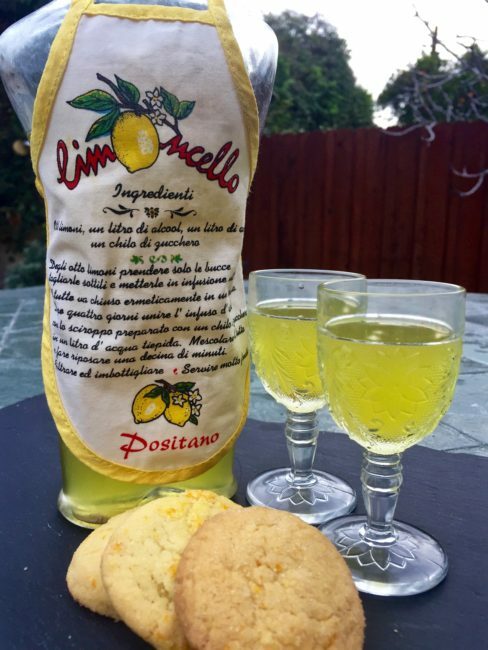 I also decided to add some limoncello to the mix because … well, do I really need a reason? I’ve got this great “naked guy” bottle of limoncello that we picked up on a trip to the Amalfi Coast in Italy way back in 2001. The lemons there are amazing! Some as big as footballs…I don’t know how they stay on the tree. 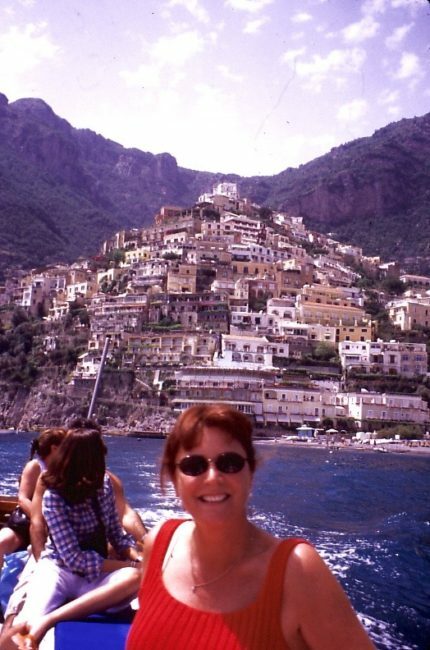 The limoncello from that trip is long gone, but I kept the naked guy bottle for refills because it is fun. I think these cookies turned out even better than the lemon ones. 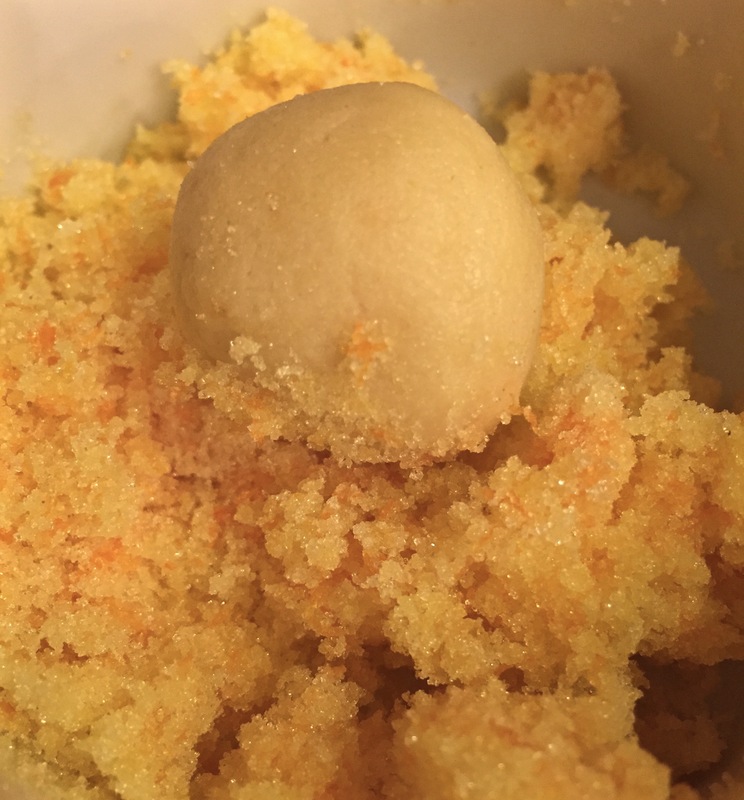 The orange zest in the sugar is wonderful and will probably be seen next gracing the rim of a TomTini. There is evidence that Tom liked these cookies too. The lighting in the kitchen at night is woeful, so I left a plate on the counter for Tom to take a photo, and when I got home from work, there was nothing left but the picture! 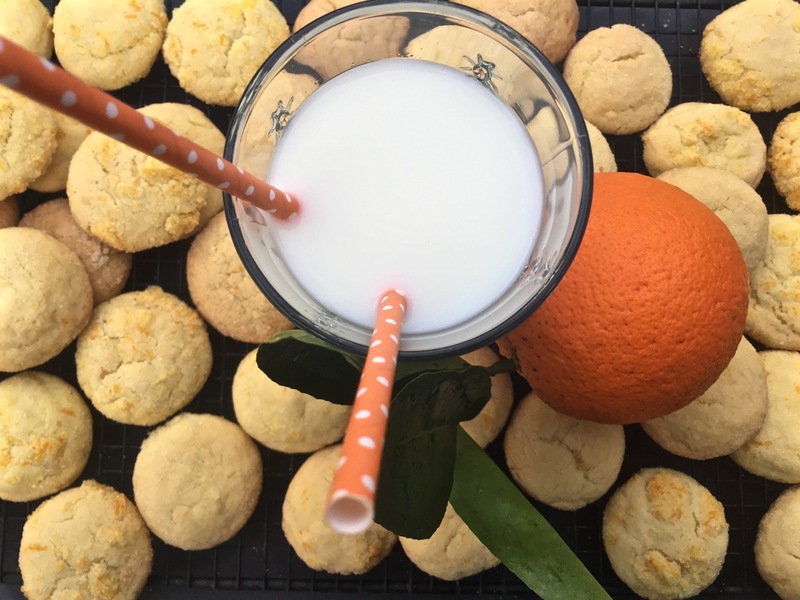 Limoncello Orange Sugar Cookies … good stuff! Whisk the flour, baking soda, and baking powder together in a smaller bowl, set aside. Finely grate the zest from one large, sweet orange. Put the sugar and orange zest into a large bowl. Using your fingertips, mash and rub the ingredients together until the sugar is moist and fragrant. Using a hand mixer or stand mixer fitted with the paddle attachment, add the butter and salt to the sugar mixture. Beat on medium speed until the mixture is smooth, about 2 minutes. Beat in the egg, followed by the vanilla and limoncello (or freshly squeezed lemon juice). Turn off the mixer and add half of the flour mixture. Mix on low speed until almost incorporated. Add the rest of the flour and beat on low speed until the dough comes away from the sides of the bowl. 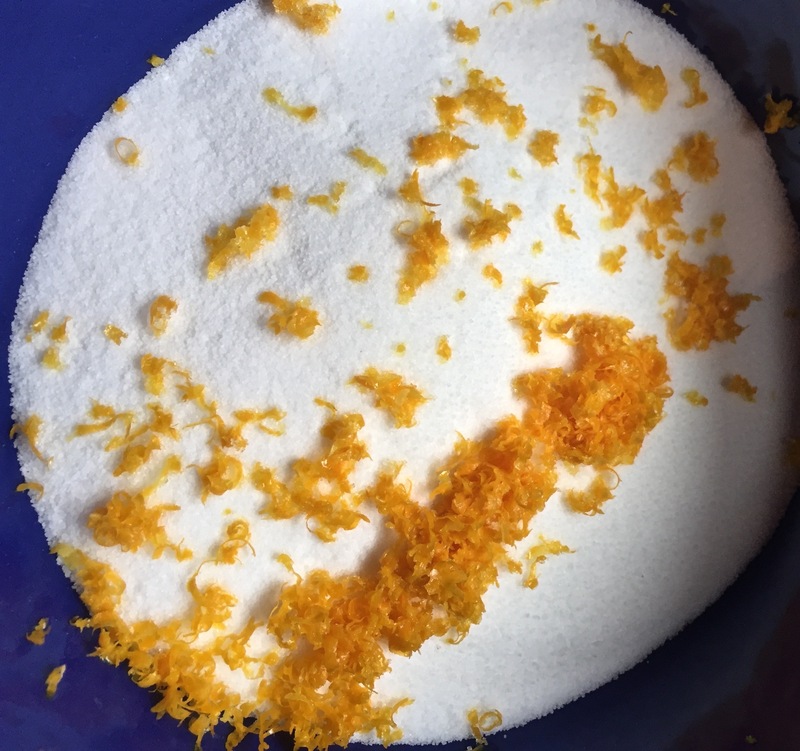 Combine ¼ c. sugar and orange zest in a small bowl and mash as before until the sugar is moist and fragrant. Using a teaspoon, scoop portions of the dough and roll into a ball between your palms. Drop into the sugar orange zest mixture and roll around to coat. Place on the baking sheets about 2 inches apart as they will spread. Bake the cookies 8 to 14 minutes depending on whether you want them soft and chewy (8-10 minutes) or crunchier and golden brown on the bottom. Transfer sheets to racks and let cool completely before removing from the sheet. Repeat with the remaining dough, always using cool baking sheets.